Readers who have been anxiously awaiting more tales set within the lands of Renthia (and I am loudly, proudly one of them) are sure to be pleased by The Deepest Blue (2019), the latest from Sarah Beth Durst, which is billed as a stand-alone TALES OF RENTHIA novel and is set after the events of The Queen of Sorrow. The only true indicator of timeline is the appearance of one of my favorite people in all of Renthia, and though her contributions are critical to the overall plot, The Deepest Blue could easily function as a continuation of story for existing fans or an introduction for new readers. This time, our story is set on the tropical archipelago of Belene, ruled by Queen Asana. The islands are cobbled-together amalgamations of leviathan skeletons and rock upon which the people live, leading to some inventive architecture and art. Belene has an interesting set-up with regard to how it organizes the protection of its people from the elemental spirits which inhabit its land, sea, and sky: there are powerful Families who run day-to-day affairs while the queen (and there must always be one) devotes her time and mental energy on subduing the marine leviathans semi-slumbering in The Deepest Blue of the ocean, and Silent Ones, women who take on the responsibility of protecting Belene’s people from spirit attacks. Mayara’s wedding day should be happy: she’s joining her life with her best friend, Kelo, a marvelously skilled craftsman who loves her risk-taking nature and talent for deep diving. After her older sister died on the Island of Testing ten years ago, Mayara devoted her heart and soul to honoring her Elorna’s passion for diving and did her best to repress her own talent for communication with spirits. But when a huge flock of spirits attacks her wedding party, Mayara does everything she can to minimize the damage and protect her loved ones, immediately bringing her to the attention of the Silent Ones. In short order, she is brought to the citadel of one of the most powerful Families, introduced to the eleven other women waiting to be taken to the Island of Testing, and then brought to Akena Island itself, where the ordeal starts as soon as their boats are in sight of its shores. Left without any assistance beyond what skills they might already possess, including food or clean water, Mayara and the others must do everything they can do to survive the bloodthirsty spirits running rampant; whoever among them outlasts her fellow initiates is named an heir to the queen. There are fewer heirs than one might expect, and as Mayara fights to keep herself alive from one minute to the next, she begins to wonder why that might be, and what other secrets might be kept from the people of Belene. 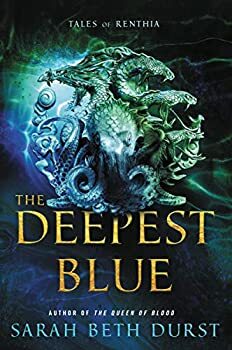 I enjoyed The Deepest Blue tremendously; Mayara’s terrifying days and nights on the island are viscerally portrayed, her strengths and flaws are essential to her survival, and her insistence that cooperation, love (of any and all kinds), and trust are equally essential carry over the themes that I appreciated so much from previous QUEENS OF RENTHIA books. Her stalwart presence is the heart of this installment, while supporting characters like fellow candidates Roe and Palia, along with Kelo himself and Queen Asana, round out the story and provide insight into the true depth of the corruption and rot behind Belene’s glittering surface. And, as I mentioned, a recent émigré to Belene’s court plays a critical role in all of this while providing some darker-than-vantablack humor. Some plot points resolved in expected ways, though not often enough or significantly enough to impact my immersion in the story, and character interactions typically rely on them being decent people, which frequently provides tension in the form of worrying that a candidate will only ensure her own survival, at the cost of her humanity, or that Kelo will decide that trying to bring Mayara home safely — despite the impossibility of his direct involvement — isn’t worth the potential risk to their families. Queen Asana chafes against her own constraints, and the choices she makes in the service of her people are both admirable and heart-breaking once one realizes the design of the invisible prison she lives in. Aspects of The Deepest Blue might seem rote or overly familiar to some readers, especially Durst’s emphases on the transformative powers of love and amity, but I think she implements them well, and I appreciate her earnest optimism particularly because of its counterbalance against the despondency caused by, among other things, the daily news cycle. Her insistence that political corruption, environmental disasters, family trauma, and even just basic loneliness can be overcome, and that the people affected can be made stronger, by combining our efforts is a welcome reminder at a time when it seems like everything is awful and only getting worse. Highly recommended, along with the other RENTHIA stories. As always, I hope there are many more to come. Published in March 2019. 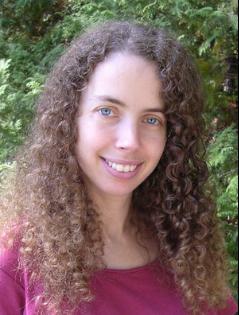 The natural magic of the classic The Island of the Blue Dolphins meets the danger and courage of The Hunger Games in this dazzling, intricate stand-alone fantasy novel set in award-winning author Sarah Beth Durst’s beloved world of Renthia. Life is precious and precarious on the islands of Belene. Besieged by a capricious ocean full of malicious spirits, the people of the islands seek joy where they can. Mayara, one of the island’s fearless oyster divers, has found happiness in love. But on the day of her wedding to the artist Kelo, a spirit-driven storm hits the island with deadly force. To save her loved ones, Mayara reveals a dangerous secret: she has the power to control the spirits. When the storm ends, she is taken into custody by the queen’s soldiers and imprisoned with other women like her. They vary in age and social status, but to many they are heroes who will aid the country or witches that will sacrifice themselves trying. No matter who they are, the women are sent to a terrifying place—an island filled with bloodthirsty nature spirits, and left without food, water, shelter, or any tools except their own instincts and magic. Whoever survives the Island of Testing will be declared heirs to the queen. But no matter if she wins or loses, Mayara knows that the life she dreamed of is gone.